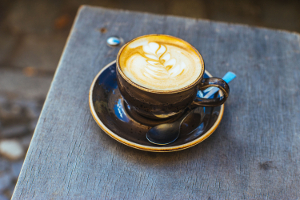 Finding the best cafes in Berlin can be a difficult task. But with our help you will find the best cafes with the freshest coffee and best cakes in Berlin in no time. 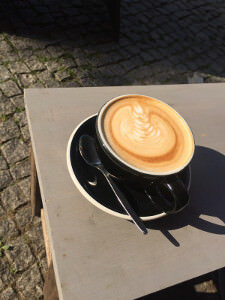 As being coffee addicts as well you can be sure that we tested a lot of cafes in Berlin and we will not waste your time with stale coffee or unfriendly staff. Having a coffee in Berlin is an experience which is not only about aromatic and fresh coffee but also the atmosphere around you. 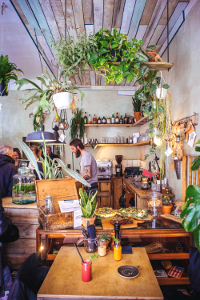 If you are around Neukölln and on the search for good coffee and an incredibly positive vibe make sure to stop by Roamers cafe at Pannierstrasse 64 in the heart of Neukölln. As mentioned before you can get a decent coffee without any problems anywhere in Berlin. But having a coffee at Roamers is so much more. The second you enter this little gem you will feel what we are talking about. Don’t you wish you had so many flowers and plants at your home? Make sure to bring some appetite as Roamers not only serves great coffee but also very tasty and freshly prepared food. No matter if you feel like a nice piece of cake or rather some fresh sandwich or even some french toast, you will never have to leave Roamers feeling hungry. 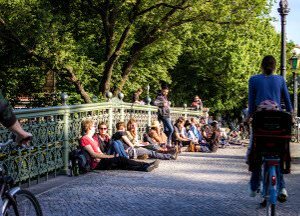 Make sure to bring some time when visiting as Roamers does not take any reservations and it can get very busy, especially when the sun is shining and the whole of Berlin is out to have some coffee in the sun. Whenever you are around Eberswalder Straße and you feel like having an amazing coffee then Nothaft Seidel should be your destination. From the outside you would not be able to tell what amazing coffee is been prepared inside by their baristas. Our favorite is definitely the Cappuchino with a double shot of Espresso. Without exaggerating but this is definitely some of the best coffee in Berlin that you can get, nay let’s say Germany. We still haven’t figured out if it is the beans, which they probably roast themselves (we haven’t asked yet), or maybe the coffee machine they use that makes such great quality coffee. And don’t forget to try any of their freshly baked cakes with your coffee. Oh and have we mentioned that the staff there is always very friendly and they know what they are doing? Another favorite amongst Neuköllns coffee addicts is Cafè Espera in Sonnenallee 35. 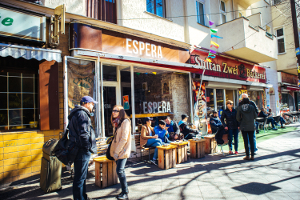 You can already tell that Cafè Espera is something special as they don’t seem to need a fancy website in order to bring in the crowds. Sometimes all you need is good and tasty coffee (ok and maybe a little facebook-page with food pictures that make your stomach rumble). They also seem to make sure to only use Bio-quality ingredients which you can definitely taste. Together with the nice atmosphere and friendly staff Cafè Espera should be on every coffee addicts list of Cafes in Berlin to try out. No list of the best cafes in Berlin would be complete with at least one cafe in Prenzlauer Berg, where all the Bio and good quality food hype started. And which other cafe than Pakolat could be on our list? Where else do you get coffee that has been freshly roasted in their very own coffee roasting? Coffee in Berlin can definitely not get any fresher and tastier than this. But to reduce Pakolat only to their fantastic coffee would not be fair. They also offer fantastic cakes that you can even watch them make in the back of their little cafe. Located in the heart of Prenzlauer Berg at Raumerstrasse 40 Pakolat should be on the top of your list whenever you need something nice and you are around Prenzlauer Berg. We get asked a lot where you can get the best coffee in Berlin. But to be honest tastes differ too much and it would not be fair to say this coffee is better than that one. For us we decided that the best coffee in Berlin must also come with an atmosphere where you feel like at home and if you feel like it you can also get some tasty food with your coffee. So change your question from ‘Where can I get the best coffee in Berlin‘ to ‘Which is the best cafe in Berlin‘ and we can give you an answer. 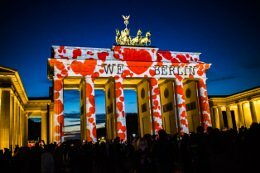 After to helped your coffeine addiction now it is time for you to find out which are the Top 10 things to eat in Berlin and where you can find the best burgers in Berlin.